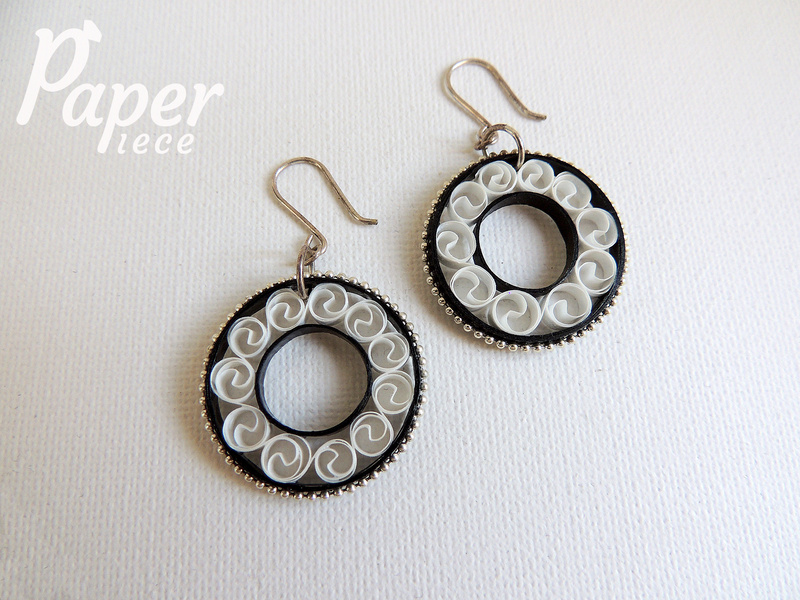 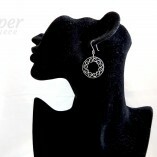 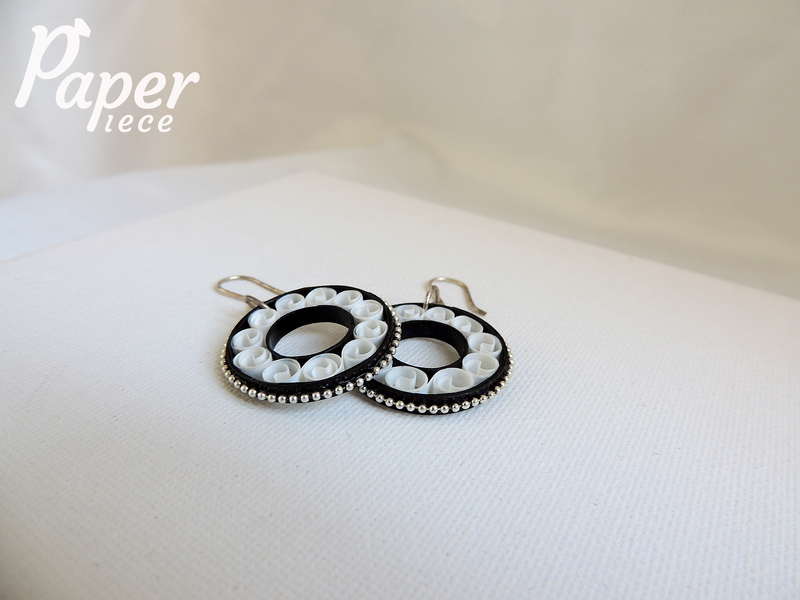 These black white earrings hand made from paper and sterling silver using filigree technology from Renaissance period. 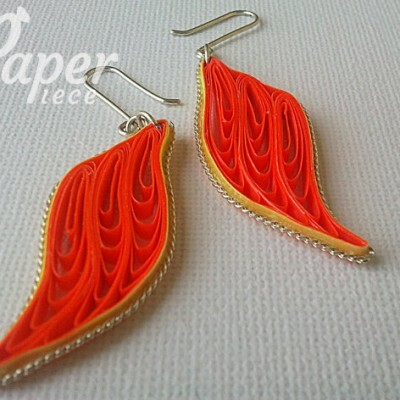 They are so lightweight that you even don’t feel them on ear. 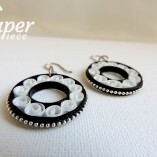 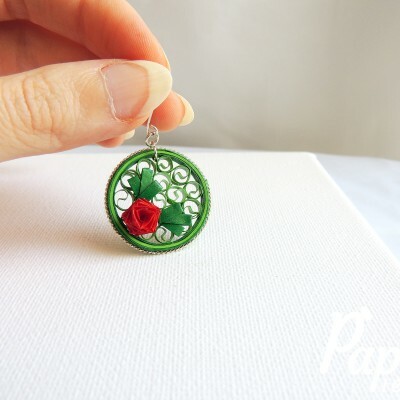 Can be perfect match with white or black jacket. 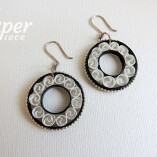 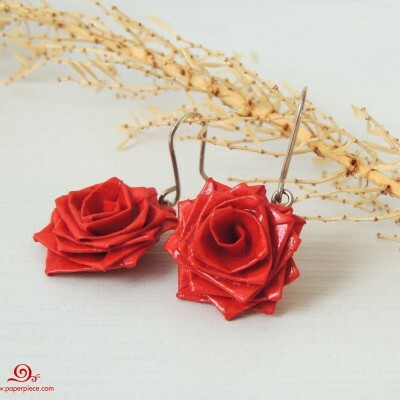 They’re classic and romantic on one hand and have modern and fashion touch on other. 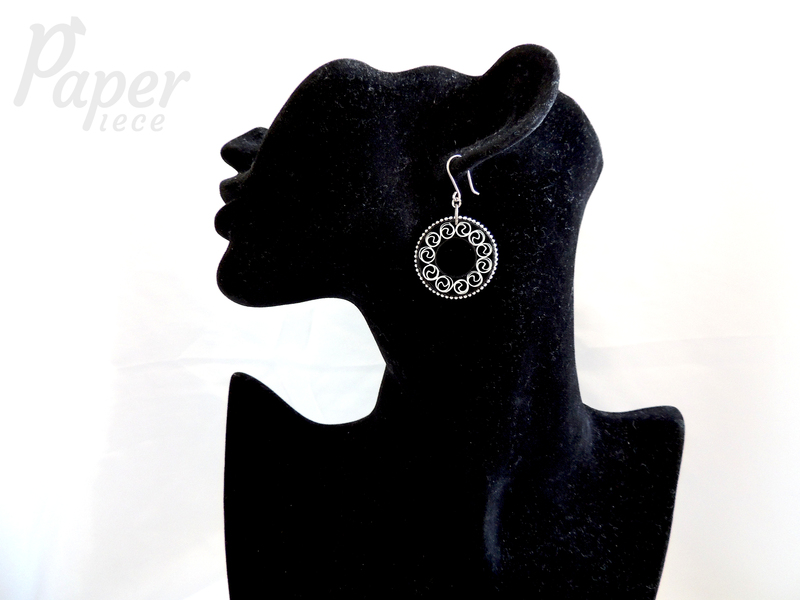 Total length (with ear wires) 2″, diameter 1″.